We named this product for its purpose and its appearance. This one-of-a-kind formulation is designed to nourish the skin , so you can look young and feel young. 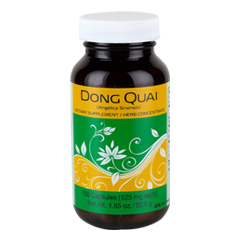 * The concentrated herbal extracts are contained in a pearl-size pill for easy ingestion. The special Beauty Pearl® supplement formulation is based on the Philosophy of Regeneration®, with the belief that the body naturally regenerates itself. Healthy skin goes through a natural cycle of renewal, and Beauty Pearl® helps your skin maintain its beauty by nourishing it. 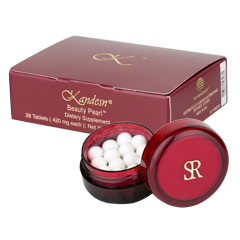 Beauty Pearl® serves as the perfect complement to the superior line of Kandesn® skin care products that are applied externally. Beauty Pearl® is not recommended for women who are pregnant or menstruating. Watch a video about this product. The mind-body connection is powerful. Low mood and distress can adversely affect the body, which can lead to tension, discomfort, and fatigue. 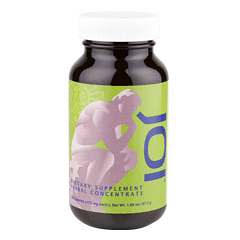 The herbal supplement Joi® is specially formulated to address this interaction by promoting a positive state of mind, improving mood, and promoting emotional balance. 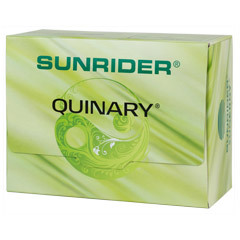 * This in turn helps relieve tension and improve energy levels as well as improve your overall sense of well-being. 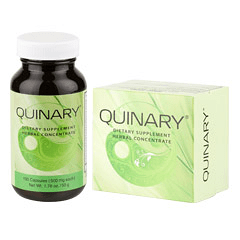 * Key ingredients include eleuthero (Siberian ginseng), white willow bark, and yeuan wu root. Two capsules (as desired) at mealtime. 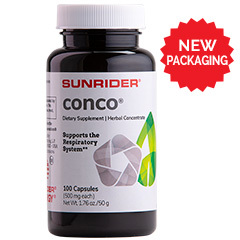 Based on Sunrider’s Philosophy of Regeneration®, Conco® is designed to maintain optimum health through proper nutrition and keep the body in balance. 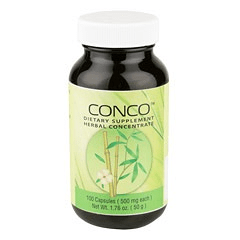 Exclusively formulated with a proprietary blend of concentrated herbs for effectiveness, Conco® is a unique combination of Eastern herbal tradition and Western science. Consult your physician if you have frequent diarrhea or if you are pregnant, nursing, taking medication, or have a medical condition. 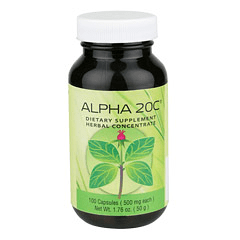 Alpha 20C® is designed to address the body’s defense system with “wood element” herbs that contain naturally occurring antioxidants and fortifying properties. 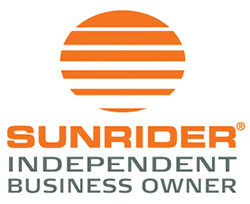 * Sunrider’s proprietary formula is based on 3,000 years of herbal study and cutting-edge technology. Recent studies show that many of the herbal and botanical ingredients we use may contain beneficial bioactive components. 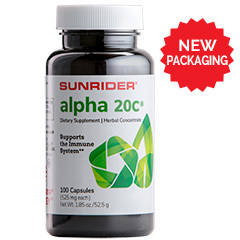 Alpha 20C® is available in both capsules and powder form. Take two capsules, or consume one package in 8 oz. of water at mealtimes. Top® is ideal for anyone who needs a boost in mental focus, and for people who need to improve concentration and cognitive ability while at work, school, or in everyday life. Use Top® to help you perform at the “top of your game.” Key ingredients include Chinese mint leaf, honeysuckle flower, and yeuan wu root. Based on the Philosophy of Regeneration®, Assimilaid ® is designed to maintain optimum health through proper nutrition and keeping the body in balance. Exclusively formulated with a proprietary blend of concentrated herbs for effectiveness, Assimilaid ® is a unique combination of Eastern herbal tradition and Western science. It’s highly concentrated and tastes pleasant if mixed in water. NOTICE: This product contains Cinnamomum Cassia Bark. Read and follow directions carefully. Do not use if you have or develop diarrhea, loose stools, or abdominal pain because Cinnamomum Cassia Bark may worsen these conditions and be harmful to your health. 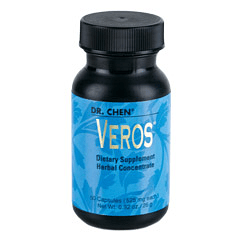 Dr. Chen developed Veros® because he wanted to come up with a great product that could especially help men. Unlike other products out there full of synthetic chemicals, Veros® is totally natural and effective. Fast and effective with no added hormones or stimulants, Veros® can help you feel energized, confident, and ready to take on the day. Take one to two capsules per day at mealtime, as desired. 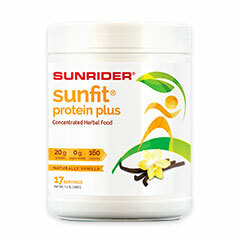 Boost your protein intake with the best natural formula available. Each serving provides 20 grams of easy-to-digest complete protein. Our 100% vegan formula nourishes the body with a balanced blend of essential nutrients from whole foods, plus ample protein to fuel muscles, support energy, and aid recovery. No added sugar, dairy, artificial sweeteners, or chemical additives, makes it ideal for health and fitness enthusiasts.